Today I found a rain drenched nickel on the curb. Hope you're all staying warm on this rainy Friday night. Today we found a total of $0.68 in the form of two quarters, a dime, a nickel, and three pennies- all acquired around the times square vicinity! I remember stating many times that Manhattan is a bad place to find change- not so. Tonight proved the theory wrong especially when the majority of the coins were higher denominations than the usual copper we find all around Staten Island. 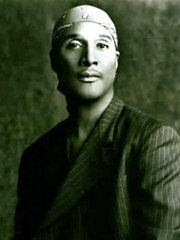 We were in the city today to catch comedian Paul Mooney at Caroline's on Broadway. I was a little scared at first because alot of people have negative things to say about this comedian (he picks on people etc). I didn't get that impression at all! 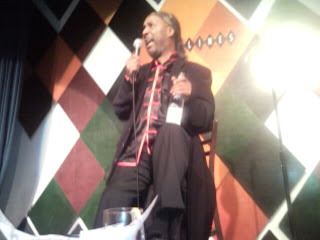 In fact, I think the man is hysterical and I'd looove to see him again! We were seated directly in front of Paul so we got to see him up close. What an incredible experience. Thanks to Scott and Mike for joining me on this comedy venture tonight! During the show, we sat very close to Mr. Mooney and watched him sip on his bottled water. Mike snapped this picture and after the show we managed to grab the bottle (as they would only throw it out anyway)! Check it out!! How about that for memorabilia?! 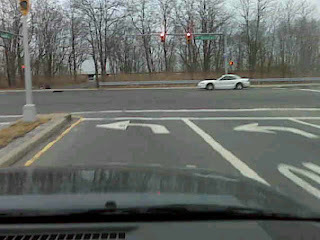 Despite running a few errands, I found no change BUT I did learn something new today that I thought i'd share with you. Put an inch or so of water in the pan with a drop or two of dish washing liquid. Turn on your stove and put the pan on a medium flame.Bring to a boil - the burned areas should peel off and the grease subsides as it mixes in with the soapy water. If any remains, try a second time until the pan looks good as new. Now THAT is something I never thought of! Found a total of 23 cents in the form of a dime, two nickels, and thirteen pennies. I've taken a few pictures which i'll update in the next day or so :). Hopefully the warmer weather will bring out more finds! Today we found a total of $1.16 in the form of a dollar bill, a dime, and six pennies. Many thanks to TVBS Taiwan for joining us and listening to our story. I will post their weblink shortly :) Pictures to come later! Found a total of 57 cents during this past weekend- five dimes and seven pennies to be exact. The weather is getting better so we're seeing more change on the ground- let's see what comes our way in the next couple of days! Today I found one lone penny in the Stop N Shop parking lot. I haven't had much time to update all the activites surrounding the changepot- that will change this coming week. 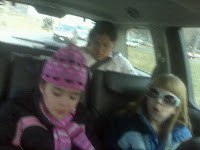 My family and I are reviewing the submitted charities and will post the entry CHARITES part II this coming week. My family and I have started researching charities on the Internet and would like some help in picking out five (5) to support by posting links on this blog and donating a portion of the found money fund towards their cause. In our first interview on Fox and Friends, I had mentioned that we'd like to donate the money when it gets to $10K. That number seems quite unrealistic because if you calculate how long it took for us to get to 1K, 10K would take approximately 27 years (and that would amount to finding approximately a dollar a day!). If any of our readers would like to suggest a charity and provide some information, please feel free to comment on this post or email us at kbunlim@gmail.com and we'll include it in our follow-up post to CHARITIES. Have a wonderful day! 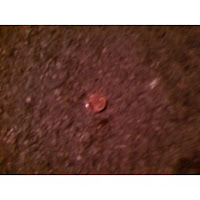 Today I found three pennies while on a power walk on the South Beach boardwalk. 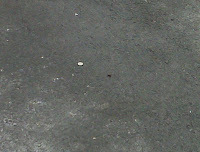 On my way home I noticed a young woman had dropped two bills on the floor- a twenty and a ten. I called out to her and she scooped up her bills eagerly. She then explained how it wasn't even her money and she'd be in a heap of trouble if she'd lost it. I wonder how many people would actually pocket the money as opposed to doing the 'right thing'? What would you do? Today we found a total of nineteen cents- a dime, a nickel, and four pennies. The nickel and a few of the pennies were found while being interviewed by NBC's Fashion and lifestyle reporter extraordinaire Cat Greenleaf! Also: Found a 1953 Canadian cent- an absolute rarity much like an american 'wheat penny'. I'll have to check on the value at some point. 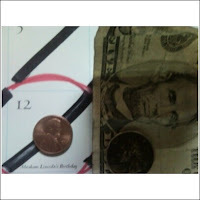 Found a total of 11 cents- a nickel and six pennies- during our random trips to the store and Dunkin' Donuts. 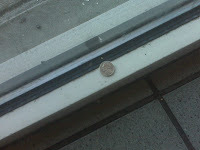 Here is a picture of the last penny we found :) Happy Sunday everyone! Found 8 cents so far in the form of a nickel and three pennies- all before noon! 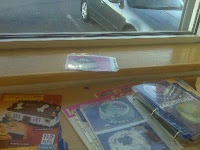 I have enclosed a picture of one of the finds in its natural habitat. Notice how well the penny hides in the wild? Also included is a pic of my babes on location at the CNN interview accompanied by Karen's BFF Alyssa (the inseparable buddies). My family and I would like to personally thank all of the wonderful people that have taken the time out to check out the blog and share some wonderful stories about finding change (the jingling and the metaphorical kind) in their lives. Over the next few days, I will post some of the delightful and inspiring stories as I recieve them! I just wanted to say that it's wonderful to see someone out doing this - and blogging it! I just wanted to let you know that I started something last year called "The Karma Kart" that is along the same lines as you. 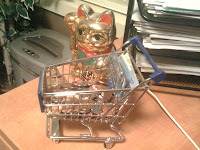 I was given a small shopping cart as a gift and I started using it to hold coins that I found. Soon my brother and a couple friends just started donating what they found on the ground. I've included a picture of my "Karma Kart" for you to see. I just thought you'd enjoy knowing that your blog put a smile on my face - 2,800 miles away in BC, Canada! Cheers! Tony. Found two nickels and two pennies today. I'm trying to keep up with the finds by photographing at least one coin a day but the days are flying by! Today we found a total of 25 cents- two dimes and five pennies. It looks as though snow is coming back yet again... so much for the Staten Island groundhog and his early spring prediction!